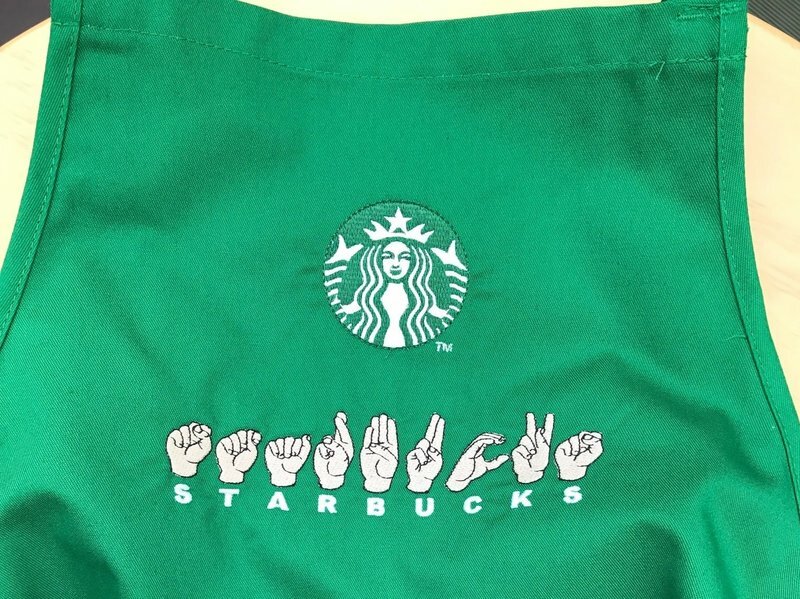 Starbucks to Open "Signing Store Project," a Deaf-Inclusive Store in D.C. This October, Starbucks is rolling out a more inclusive initiative to elevate the deaf community’s in-store experience, with the “Signing Store Project” to launch in Washington, D.C. Inspired in part by Adam Novsam, a deaf utility analyst at Starbucks’ HQ in Seattle, the store will be modeled after the first deaf-friendly Starbucks located in Kuala Lumpur, Malaysia, where employees were trained in an extensive 10-week sign language course that focused heavily on deaf culture. The D.C. location will specifically seek to hire American Sign Language (ASL) fluent speakers, and distinguish deaf employees by way of an apron featuring ASL symbols, with a pin that distinguishes proficiency in sign language for hearing employees. Additional benefits will include a deaf customer-conducive physical space and store aesthetic, with low-glare surfaces to help combat eye strain, and specialized mobility, color and acoustics throughout. According to NPR, "Our built environment, largely constructed by and for hearing individuals, presents a variety of surprising challenges to which deaf people have responded with a particular way of altering their surroundings to fit their unique ways of being," says Ryan Maliszewski, director of the Gallaudet Innovation and Entrepreneurship Institute at Gallaudet University, a four-year college for the deaf and hard of hearing in Washington, D.C., located just a few blocks from the planned signing store. Learn more about Starbucks' Signing Store Project here.